However, Mars One pointed out that the Quran encourages exploration. In a written response to the Fatwa it highlighted a verse that says ‘and among His Signs is the creation of the heavens and the earth, and the variations in your languages and your colors: verily in that are Signs for those who know (Quran 30: 22)’. Mars One also disputed that the mission was tantamount to suicide. The organisation said: ‘Space exploration, just like Earth exploration, will come with risks and rewards. It may seem extremely dangerous to send humans to Mars today, but the humans will be preceded by at least eight cargo missions. 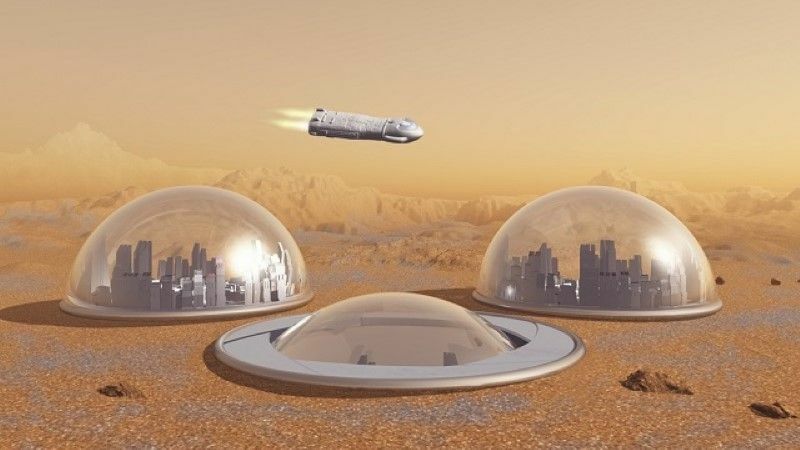 ‘Robotic unmanned vehicles will prepare the habitable settlement. Water and a breathable atmosphere will be produced inside the habitat and the settlement will be operational for two years, even before the first crew leaves Earth. It added: ‘Mars One respectfully requests GAIAE to cancel the Fatwa and make the greatest Rihla, or journey, of all times open for Muslims, too. They can be the first Muslims to witness the signs of God’s creation in heaven, drawing upon the rich culture of travel and exploration of early Islam. The GAIAE has issued around two million Fatwas through its Official Fatwa Centre since its inception in 2008. The multi-billion pound Mars One mission hopes to establish a human colony on Mars in 2025. Over 200,000 people, including 500 Saudis and Arabs, have applied to take part in the missions so far. In December Mars One short-listed 1,058 people to take part in trials for the ambitious project. Co-founder Bas Lansdorp said: ‘We’re extremely appreciative and impressed with the sheer number of people who submitted their applications. Mars lies on average 141.6million miles from the Sun and has an average temperature of -85F (-65C). Its atmosphere is desperately thin – one per cent of Earth’s pressure – and is 95 per cent carbon dioxide.